With less than a week to go before the County’s historic vote on the current $3.5 Billion jail plan, Supervisor Hilda Solis has released a powerful statement committing to voting ‘No’ on CCFT (the mental health jail). Her statement was accompanied by a motion calling for a coordinated study of mental health and substance abuse diversion and treatment capacity in order to “reimagine” the county’s jail construction plan. 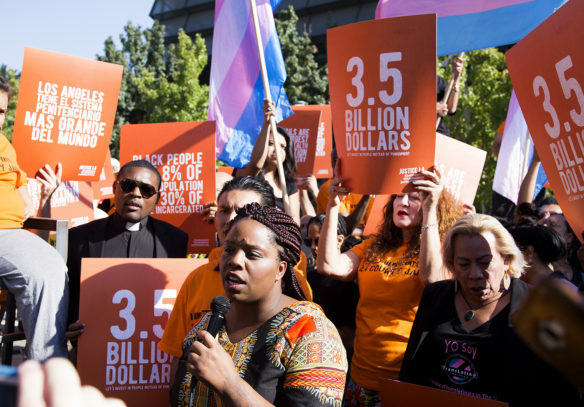 Help us move the rest of the Board to reject new jails! 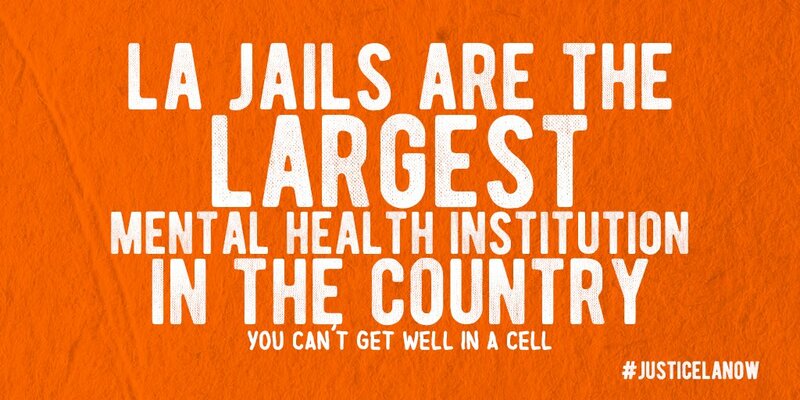 If you agree that people with mental health needs should be treated in their community and not in a jail, sign and share our petition against the mental health jail! Over 4,000 people have signed – help us reach 5,000! Email or call your Supervisor asking them to vote ‘NO’ on jail construction! Supervisors Hahn or Ridley-Thomas especially need to hear from you! Don’t know who your supervisor is? Find out here! Sample Script: Thank you Supervisor _______ for your commitment to investing in alternatives to incarceration. As a stakeholder in your district, I am deeply troubled that the County is considering waisting billions on jail construction, which would undermine all of your amazing efforts to divert people with mental health and substance use issues out of incarceration and into community-based treatment. I strongly urge you to vote ‘no’ on any jail construction next Tuesday and continue building on your visionary work. Rally with JusticeLA on February 12th! Next Tuesday February 12th will be the single most important date in the history of the L.A. County jail fight! 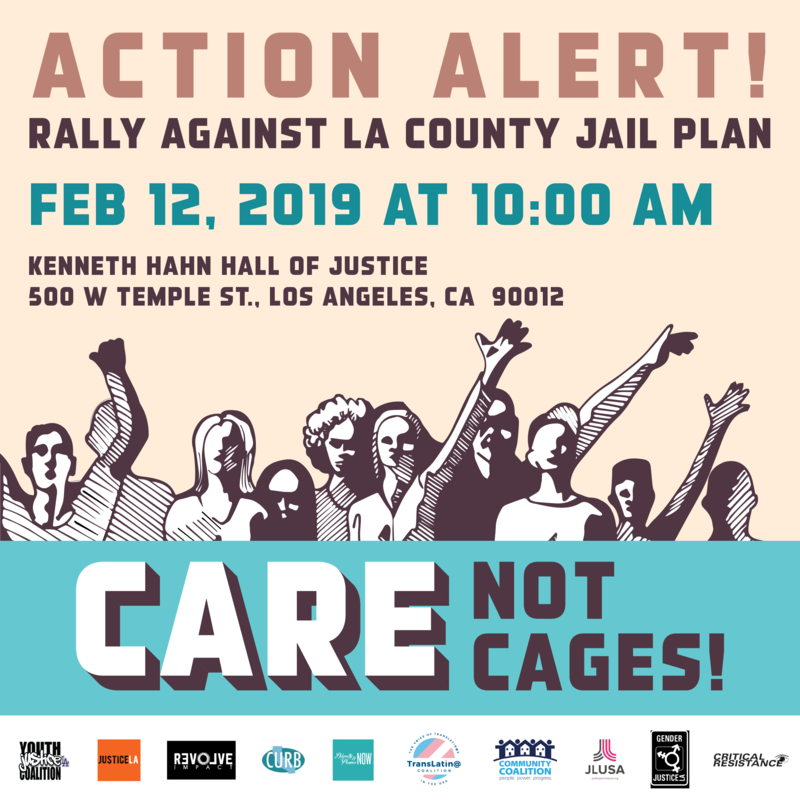 Join JusticeLA at the Care Not Cages Rally and Press Conference to demand a complete stop of all jail construction and full investment in alternatives to incarceration. Support: RSVP and share the Facebook Event! Can’t attend? Support us on social media! All you have to do is CLICK to TWEET! You @SheilaKuehl @HildaSolis @SupJaniceHahn @kathrynbarge @mridleythomas – must make the right decision this time and reject the wasteful, ineffective & unnecessary construction of CCTF. You have OPTIONS! This plan is 10 years old! Let it go and study how we can best reduce pop! p.s. 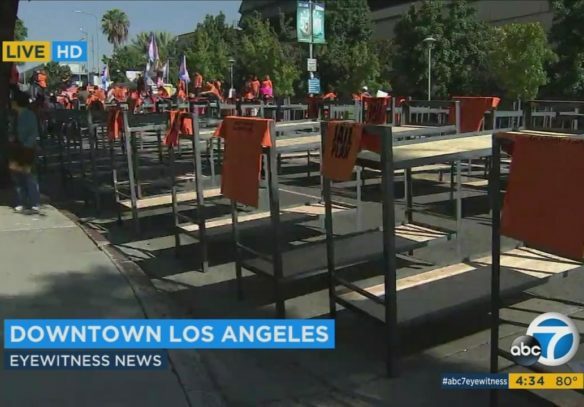 Check out the powerful The Los Angeles Times Editorial Board piece opposing the construction of the mental health jail! Hey Buddy!, I found this information for you: "It’s Go Time!". 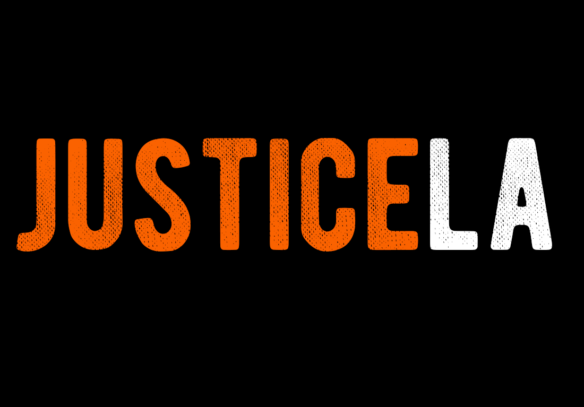 Here is the website link: http://justicelanow.org/gotime/. Thank you.